one of the most famous destination for surfers and bikers. 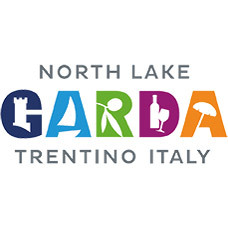 The hotel lies in a quite and sunny area, near the center and the lake. It offers also private parking, store parking for surfboard and bike, swimming pool, garden, solarium area with deck-chair, bar. 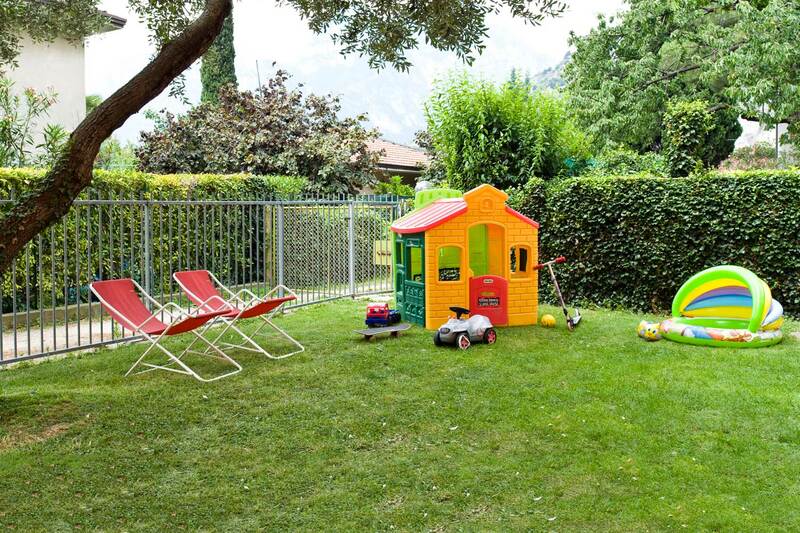 The hotel is an ideal resort for people who like quite, sport and for families. 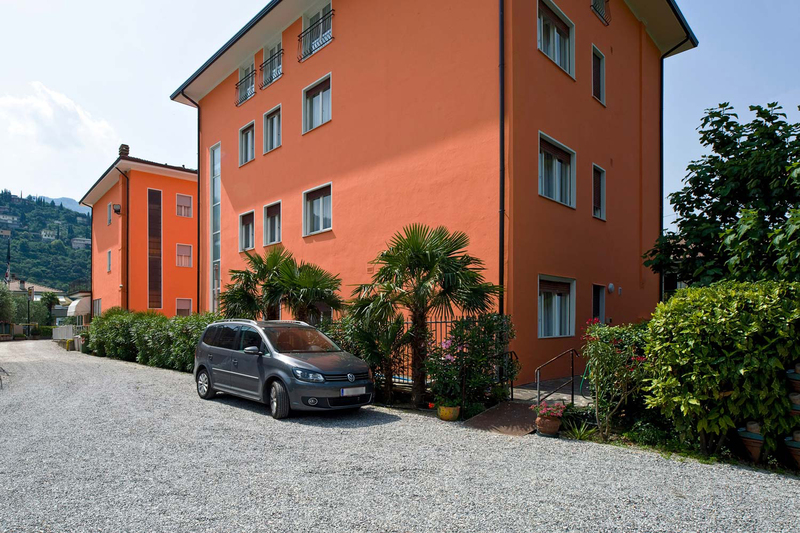 The Hotel offers 33 rooms with private bathrooms, shower, central heating, hairdryer, Sat-Tv and direct phone. Some of the rooms have balconies in the south side with a nice view on a quite garden. 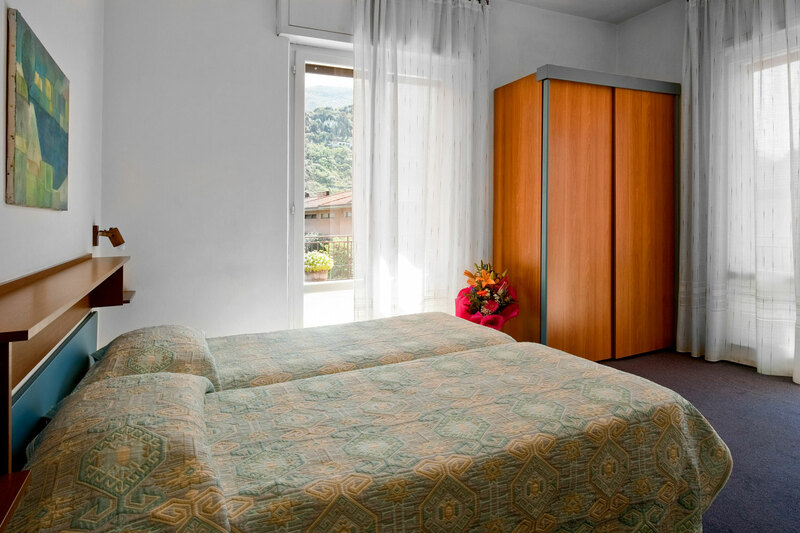 At the third floor Villa Mimosa offers to her gests a very romantic mansard furnished in a northen style and its windows are with a french balcony. 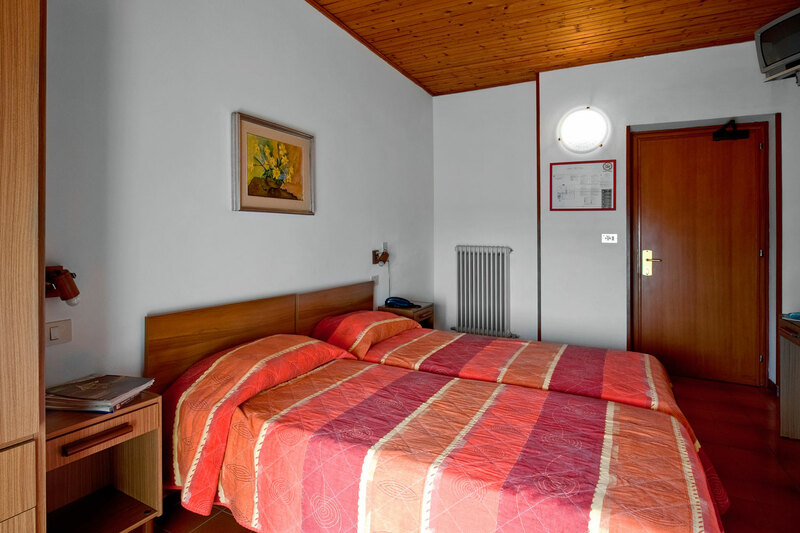 The other rooms are modernly furnished. 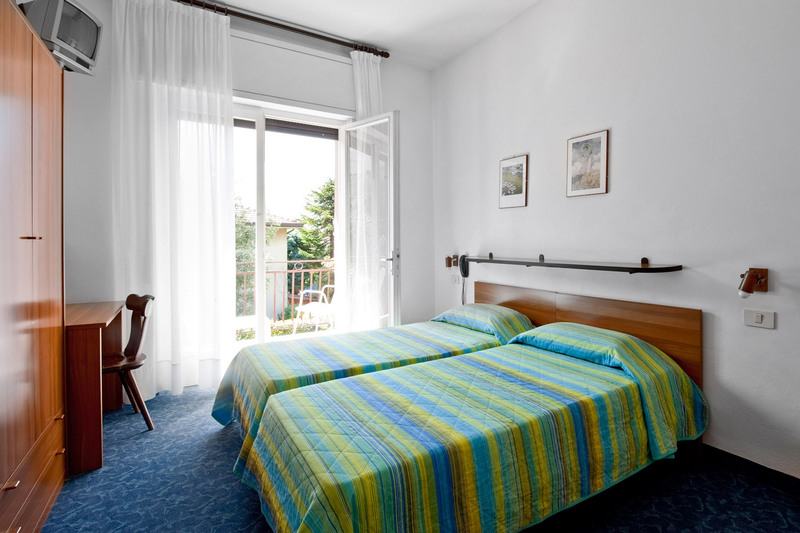 Hotel gives you the possibility to stay in double, single or third-beds rooms. 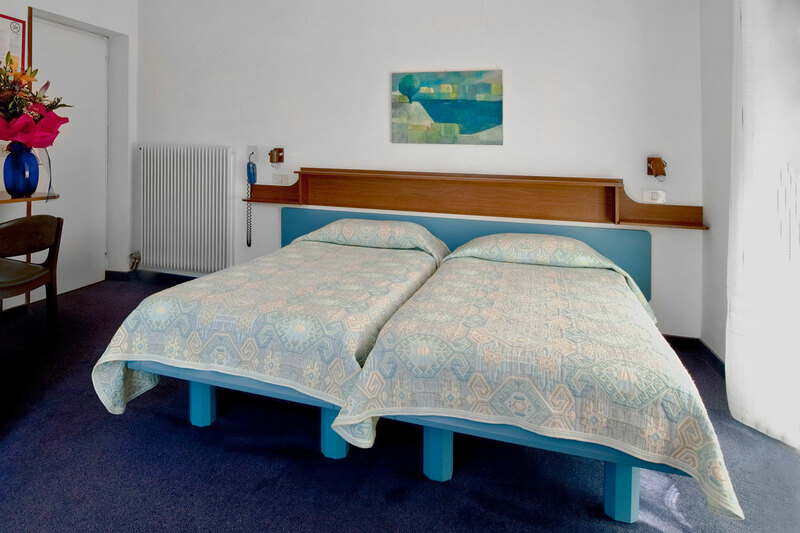 All rooms have private bathroom, telephone and central heating. Most of the room have balcony. 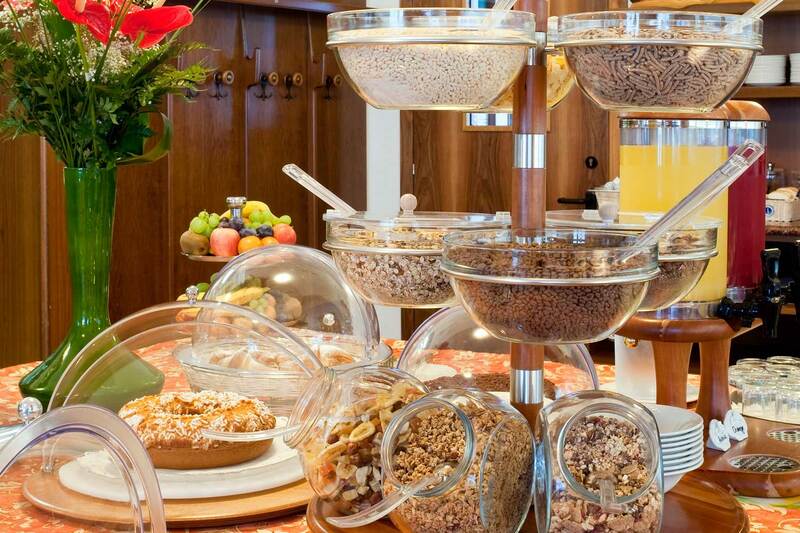 Enjoy our buffet in the warm ambience of the breakfast room with a lot of taste choices. 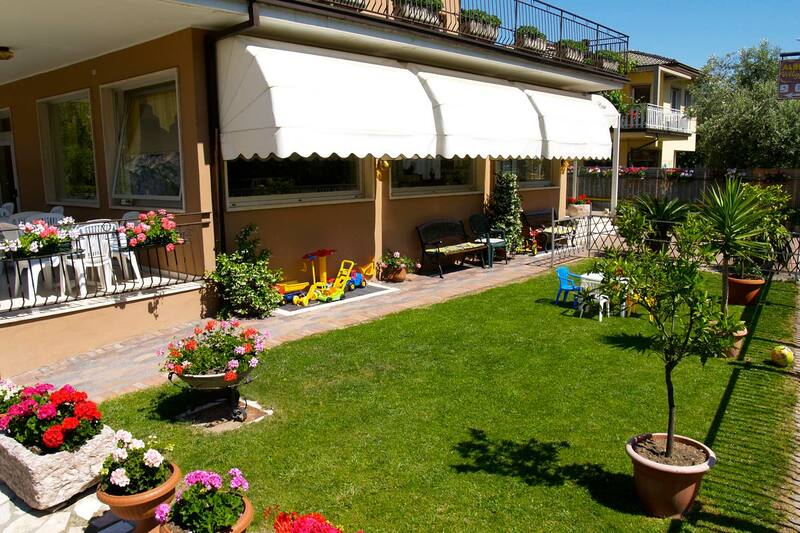 When the weather is sunny, eat your breakfast outside, on the terrace with a nice view of Monte Baldo, Monte Brione, of our pretty garden and swimming pool. 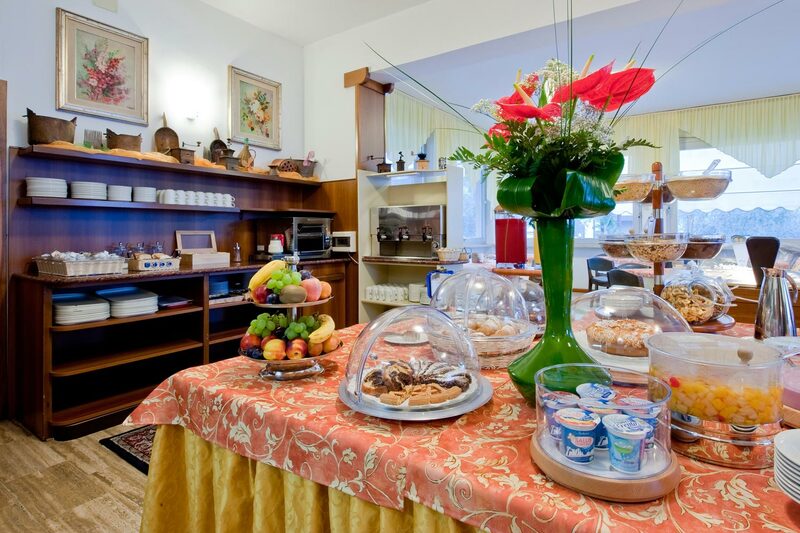 Each morning our staff prepare an excellent buffet sweet and savoury with fresh cakes homemade, fruits, fruitsalad, egs and a lots of other specialities. 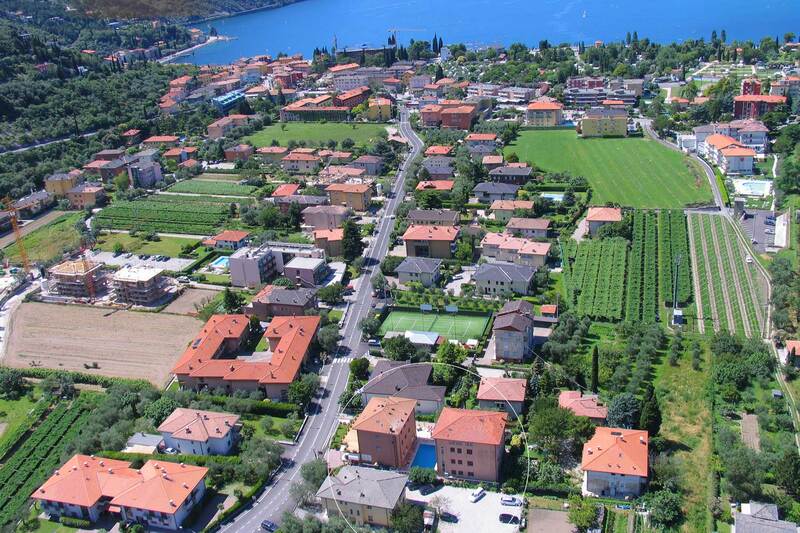 Certainly one of the most attractive village of Garda’s Lake. The centre evolved from an old village of fìshermen, and still there is an ancient part of the village with the houses reflected in the clear water of the picturesque port.